Add a fresh look to your cabinetry or furniture with the Liberty 3 in. Bronzed Antique Pricilla Paw Pull. It features a 3 in. center-to-center, rear-mount design for easy installation. The durable metal base material is covered in a vintage bronzed antique finish. From Liberty Hardware, the Mandara Pull is a simple design with subtle reflections from the glamorous art deco period. Crafted from die-cast zinc for long lasting quality and durability. Installation hardware is included. The Parson pull features a classic stepped octagon base and finials. A great hardware choice to modernize and add texture and depth to cabinetry or furniture. These pulls are crafted from die-cast zinc for long lasting quality and durability. Installation hardware is included for your convenience. 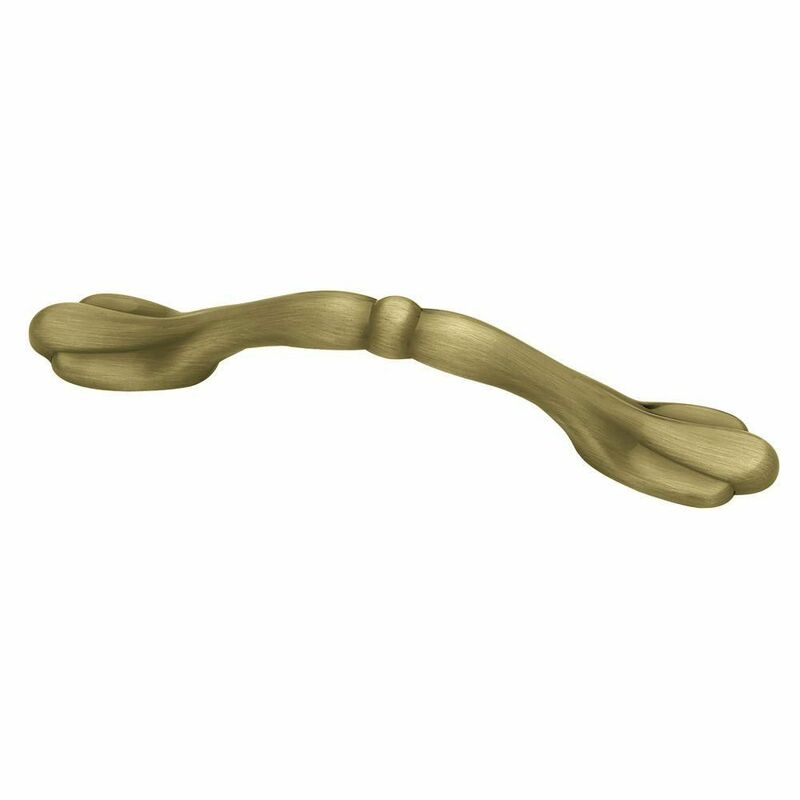 76mm Pricilla Paw Pull, 1 per pkg Add a fresh look to your cabinetry or furniture with the Liberty 3 in. Bronzed Antique Pricilla Paw Pull. It features a 3 in. center-to-center, rear-mount design for easy installation. The durable metal base material is covered in a vintage bronzed antique finish. 76mm Pricilla Paw Pull, 1 per pkg is rated 4.8 out of 5 by 8. Rated 5 out of 5 by Laura from Love my Handles!... Love my Handles! Rated 5 out of 5 by Apollo from New cupboard handles I was pleased with the quality and price of my new cupboard handles. They make my kitchen cabinets look as if they had a facelift! Rated 5 out of 5 by nita from They made my old cabinets look new I loved the product. We had cleaned up the cabinets but they still didn't have the exact looked I wanted purchased the handles and right off the bat everyone noticed how beautiful my cabinets looked. my family thought I had new cabinets installed. Even my great granddaughter noticed the new handles and she only 4. Rated 4 out of 5 by Planowoodworker from Attractive replacement hardware We picked out this handle in the store and ordered on-line because of the large number we needed. We'd never have chosen it from the on-line illustration which gives a very matte looking appearance. It has a brushed finish yet is shiny and reflects light very well. Two sets of screws are provided; 1" and 1-1/2". The 1-1/2" screws were the same length as the ones we replaced, but the handle mounting holes aren't as deep as our original handles, and bottomed out before drawing up tight. Either adding spacer washers, or cutting off 1/8" with a screw cutter, as I did, solves the problem. Our drawer faces are 1-3/16" thick. We paired this handle with the Liberty 1-1/4" diameter door pull (P40005C-AB-C) and are very happy with the combination.